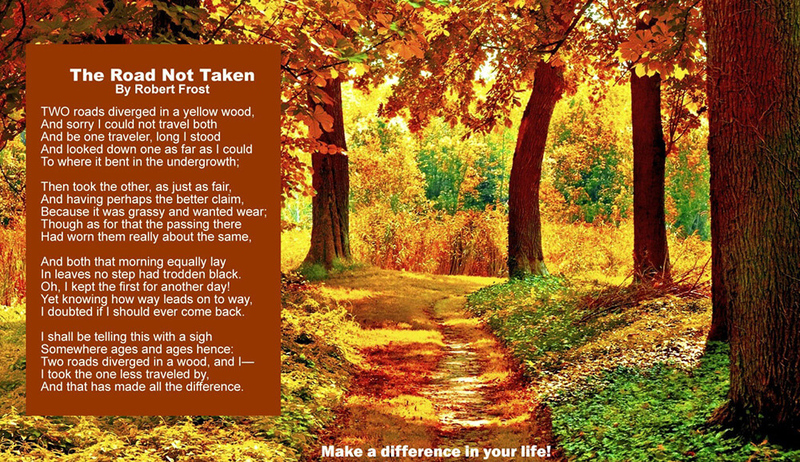 We experienced what Robert Frost has described in his poem, The Road Not Taken, which begins with that famous line, “Two roads diverged in a yellow wood…” Like the poet, we saw a choice before us and, for any number of reasons, either chose or were guided by circumstances to pursue one path and not the other. Most of us have experienced a phase earlier in our lives, perhaps in high school, during which we dreamed of some specific career. It sounded glamorous to us, interesting, rewarding in many ways, and consistent with the value system in which we were raised. Then life intervened, we “grew up” and made different choices. The dream I had during my own adolescence was to become a journalist. The yeshiva high school that I attended had published a prize-winning newspaper, and the editors and contributors to it were enrolled in a special elective course entitled “Twentieth Century Journalism.” Our teacher was a marvelous pedagogue named Mr. Joe Brown. I loved his class and rose to become copy editor of the newspaper. A great deal of what I learned about writing I learned from Joe Brown. Besides all that he taught us about the art of writing and its technicalities, he also emphasized the ethics of journalism. Much later in life, I became fascinated with the writing of John McPhee, a non-fiction writer who was able to interest his readers in the most obscure topics by writing about them in great detail, objectively but with measured enthusiasm. I remember, for example, a book he wrote about oranges and orange juice. Not a topic, one would think, to engage a reader’s attention for 300-plus pages. But he was able to do so descriptively, accurately, besmirching no one, with neutrality and verve. I never pursued a career in journalism, although writing remains one of my great interests and I do a lot of it. But I frequently wonder if, had I chosen the path of a journalist, I would have been able to live up to the ethics of the profession as they were espoused by old Joe Brown. Would I be able to resist the temptation of exposing scandal after scandal, consciously ignoring the whole story, and slipping into exaggeration, distortion, and sometimes blatant untruth? It is at this time of year, when we read this week’s Torah portion, that I especially become preoccupied with these thoughts. This week’s parsha is Metzora (Leviticus 14:1-15:33). On the surface, it deals with the laws of purity and ritual uncleanliness, and especially the purification rites prescribed for the metzora, usually understood as the leper, as he recovered from his symptoms. But our rabbis have traditionally seen in these passages as a deeper message, one much more relevant to our troubled times. The Talmud (Arachin 15b) discusses the root cause of the condition from which the metzora suffers. They identify that cause as the sin of verbal abuse. The very word metzora is defined as a contraction of the Hebrew words “motzi shem ra”, “he who spreads the bad name.” That is, he who speaks, or writes, malicious gossip, or harms others through their use of language. It seems quite clear to me that these are the sins which characterize our time in history, and it is downright frightening that these are the very things which God hates and which are an abomination to Him. What makes our age so distinct is that everyone is today a journalist, not just someone who works for a newspaper. The electronic media have allowed everyone access to the entire world. Every e-mail, every blog, every variety of social media can be used by anyone, with no qualification, no credential, no official position, and worst of all no accountability, to say anything he or she wishes about anyone. Reputations can be ruined in an instant, and the victim has no recourse to due process or to any semblance of self-defense. Truth is no longer an honored value, and decency is mocked. All the humane values of discretion, compassion, moderation, tolerance, and honesty have been utterly discredited. The very phrase “ethics of journalism” evokes a cynical smile at best and more likely results in outright derision. Our rabbis have also written extensively about the possible cures for this despicable tendency. They struggle to reverse our proclivity to defame and malign other human beings. Their suggestions, practical seem tame and impotent in the face of force of the evil we now confront. For example, Rabbi Samson Raphael Hirsch writes that the Torah’s prescription that the metzoraspend time in seclusion is designed to compel him to engage in introspection, reform his antisocial tendencies, and return to society constructively. Alas, introspective contemplation is not only out of style nowadays, but history has provided us with more than one example, Hitler being the most notorious, of individuals who have used times of solitude to hatch even more diabolical schemes. How necessary nowadays are courses such as the one Joe Brown gave to a small group of teenagers many years ago, which instilled an appreciation for the power of the pen, and these days for the power of the blog, and which prompted reflection upon the ethical use of the tools of language. How important it would be to study those writers, secular and religious—and John McPhee is just my own personal example—who can write effectively about all sorts of topics, with nary a negative word about another human being, without ever breaching any ethical code. We must recoup the traditional values which underlie the denigration of the metzora. We must attend to passages such as the one from Proverbs quoted above. Then we can at least begin to diminish the verbal bullying which infects the social media. Then we can at least temper the malevolent phenomena which have come to characterize our age of electronic communication.